Create an invisible Activity . 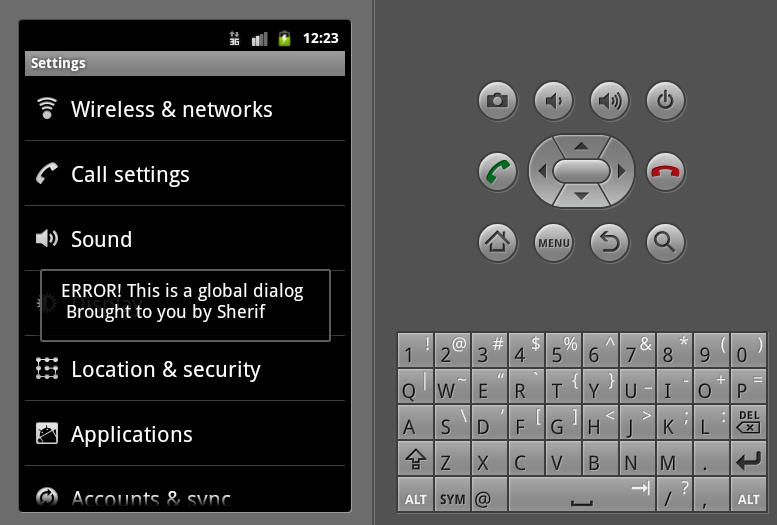 Make this activity show the dialog. The user will not know of this Activity's existence obviously because it is invisible! Notice that this function not only will start the activity but will also send a bundle that contains an integer! This integer will actually answer the SuperDialog when it asks: Which dialog am I supposed to show! Now let's catch this bundle onCreate of the activity and get this integer value. I will show you how to use this integer shortly. 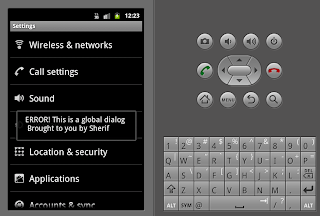 Notice that I only create one AlertDialog and the others are all null. You could add/delete as much as you need of the dialogs ... Do what suit you. Congratz! You class now works fine and you can call it from "a service" to show a dialog. Why?! simply because we want the Invisible Activity to go away when the dialog is canceled! In my case I used CANCEL! so if you want to dismiss a dialog you created using a button, use cancel! very tricky,man.but great job! I use it in my tiny toy.Thank you. Kindly keep blogging. If anyone wants to become a Java developer learn from Java EE Online Training from India. or learn thru Java EE Online Training from India . Nowadays Java has tons of job opportunities on various vertical industry.